Innovation is the quality that keeps companies on top of their respective industries over the long term and in the office storage systems industry a Thai company has been leading the way for years now. Tellus Systems Ltd., located in Bangkok, has continually improved upon its product line of mobile shelving units used by companies for their compact storage of files, documents and general office supplies. Using an original idea, from some 60 years ago by the Compactus company of Switzerland, Tellus has continually upgraded the features and capabilities of their products over the last 10 years and has now launched a new brand name for their line of products called Mobilux. Mobilux office storage products have many unique features but the most important fact about these ever-evolving products is their basic function – they save great amounts of space, and therefore money, for the people who use them. Many people may not be familiar with mobile shelving units but if you have an office that generates paperwork that must be saved and accessed easily then Mobilux products can provide some great solutions for almost any business. And, Mobilux’s storage shelving is not limited to just offices. There are numerous applications that businesses as diverse as schools and retail shoe outlets have found for these products and there are new applications being devised all the time. As Mobilux keeps adding features to their product line and therefore making their storage shelving systems even more adaptable and flexible in their functionality, new ideas for using these modular storage systems keep presenting themselves. There are many technical reasons why Mobilux products are superior to their competition but the overriding advantage that mobile storage units have over ordinary filing cabinets and shelving units is that businesses that employ these systems save money on the rent they pay for space. This simple fact alone means that these storage systems pay for themselves over the long term. This is their primary advantage for businesses that are looking to their bottom line but there are many other more intangible, and yet important, advantages as well. One of the benefits that mobile office storage systems offer is ease with which employees can access files, documents, merchandise and any other materials that are stored in mobile shelving. A company can much better organize its storage systems and place needed documents and materials easily at hand for employees. The time saved because of this can greatly affect employees’ productivity resulting in a more efficient and profitable company. 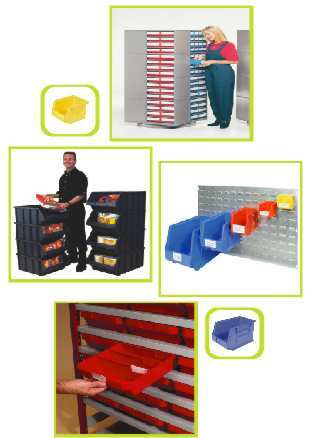 Also, from a purely aesthetic standpoint Mobilux storage systems create a clean, uncluttered look for any business. And with the many design choices that the company offers, any office or workplace can become a more stimulating and pleasing environment in which to work. It’s hard to quantify these advantages in numbers but the effect on employee morale and mindset is still a definite advantage. And, as stated above, Mobilux is ahead of its competition in the development of these flexible storage systems and manufactures the highest quality systems available. Lightweight materials, superior design characteristics and greater flexibility in configuring the systems are just some of the reasons why Mobilux continues to stay ahead of other companies in the industry. Mobilux has built its business with products that are second to none in quality and innovation along with a service philosophy that offers individual attention and problem-solving for every customer, big or small. If your business has not explored using mobile storage systems then now may be the time to do so. For all of the reasons stated above and more, the use of Mobilux storage systems can help your business to expand and grow in an orderly, organized and profitable way. For more information see www.tellus.co.th. Thanks to Tom Aikins for his guest article. Tom is a Bangkok-based journalist who runs an Online Marketing Excellence business at and does IT consulting at http://www.seosoutheastasia.com.